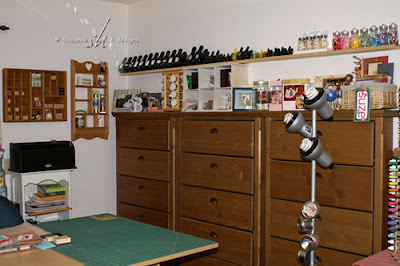 Suzanne Henrich has some mpre photos of her stamping studio. 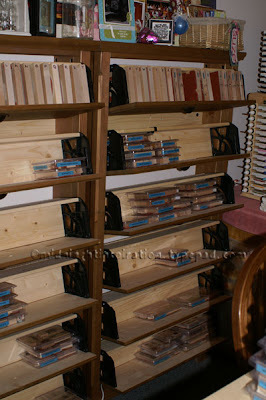 I particularly like the use of the CD units to store the Stampin Up sets (Bellow). You can check her work here and more photos of the studio here.